OLIVER follows the motto “different rackets for different players”, providing the right racket model for every target group. 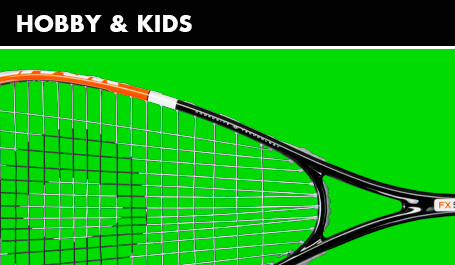 For the future British Open winners, we offer kids’ rackets in different lengths. First contacts with the sport, shot techniques are not perfected yet, lots of contacts with the wall during the shot. Speeding up the ball and sweet spot are some important criteria. Plays regular squash, controls the ball and varies his play by playing powerful offensive, drop- shots and controlled defensive play. Possess a solid shot technique and the acquirement to place balls where ever he wants on the court, controls every shot and is able to regulate speed, power and way of the ball. The perfectionist. Excellent techniques on a maximum skill level. 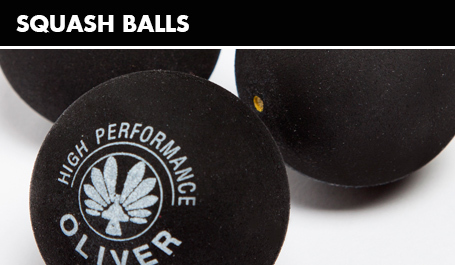 Able to seed precisely balls on the court in every situation. Varies his shot in hardness and length. In general three balance points can be differ from each other for squash rackets. (Grip-heavy – balanced – top-heavy). At some frames the balance point is located exactly on the transition points; therefore one could find descriptions like “slightly grip-heavy” or “slightly top-heavy”. 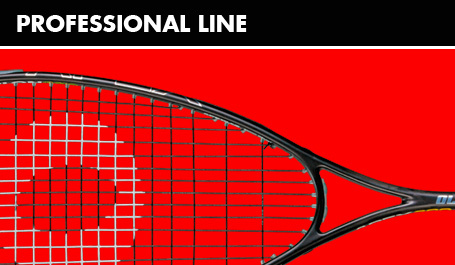 For the high quality rackets the balance point is exactly defined and through the production process controlled. Thus some frames have got a low weight; despite they are top-heavy designed for creating a more powerful play. These rackets provide a comfortable feeling during the game, because of their slight handling. Most of them are light and suited for fast racket manoeuvres. Recommendable for players with an offensive style preferring an aggressive pressing play and early ball control. Also for those, who appreciate the light weight. The hobby player has only to cut back at control and speeding up the ball, because of the low weight. Players with a sophisticated technique will compensate that with their playing skills. The balanced frames are the most popular frame types. They are favoured by Professionals, Allrounders and Hobby players. Balanced frames fulfil all requirements by supporting a powerful and controlled playing style. Top-heavy rackets are distinguished through the noticeable racket top shape. These kinds of rackets enable an enormous increase in speed and provide ball control as well as precision. The player always knows the position of the racket top during the strike out movement. So the racket can be excellent controlled in dynamic plays. Top-heavy rackets are favoured played by professionals, because of their aggressive and powerful play. In addition these rackets enable precision, the essential criterion, on the highest level. Furthermore the rackets could be suitable for beginners and advanced because these rackets provide a better development of strike out movements and more pressure against the ball. These frames are distinguished through an enormous ball control. There are several longitudinal strings of the same length with similar swinging characteristic. The sweet spot is proportional bigger to the percussion platform. The essential criterion of these rackets is the speeding up of the balls. The longitudinal strings are longer and while a ball hits them, they will stretch out. Because of this trampoline effect the ball reaches more acceleration. The absolute percussion platform is bigger than by the frames with bridge. This reduces the sweet spot a bit, which is due to the string swinging characteristic smaller. 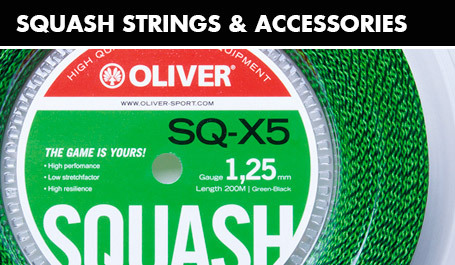 Usually the string tensions of the OLIVER rackets are declared for Allround and Tournament players. The longitudinal string of the long string frames is 0,5kg-1kg more hard stringed than one of frames with bridges. 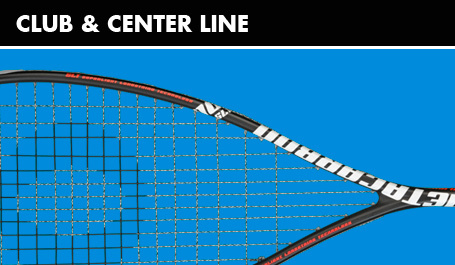 The string tension of a racket affects the playing characteristics power and control. Strings with a raw surface are used primary for the OLIVER rackets. This feature effects a better touch and ball handling. Very high trampoline and acceleration effect. Ball control is reduced minimal. Perfectly balanced between acceleration effect and ball control. Only for technique accomplished players. The ball could be played more precise and the power is created by stroke technique and effort. The used material has deciding influence on the playability and life period of a racket and is also reflected in the total weight of a racket. 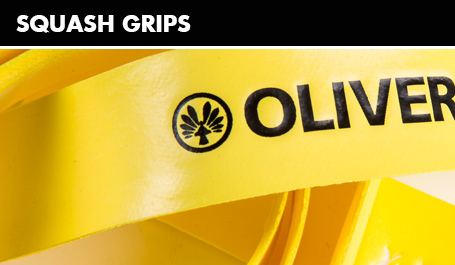 OLIVER uses for its own rackets only high quality materials. Uncountable racket tests proof that all rackets possess excellent playing characteristics. Metacarbon™-rackets provide an optimum of comfort, handling and vibration reduction. The Metacarbon™ technology enables through obvious resilience, improved power transmission, weight reduction and excellent handling, a more dynamic and explosive play than usual rackets. Metacrabon™ frames are offered in the middle and high end segment. Frame weights 130-150g. Target group Tournament-Professional.